See that name there? That’s the name of Australian book designing royalty! Not only that, she’s book writing royalty too! Okay, YES. I have worked with Michelle on a couple of my own books, so I might be a tiny bit biased… but the thing is, I’m actually NOT and it’s the gosh-darned truth. I know this because not only do I LOVE Michelle and her work, so do publishers and authors ranging from Hardie Grant, Penguin and Plum to Beci Orpin, Louise Fulton Keats/Margaret Fulton, The Little Veggie Patch Co, Kate Ulman of Foxs Lane and more. Phew! Michelle’s released quite a few of her own books (and a stationery range) over the years, but she’s totally pulled out all the stops recently and released a book with her fella Steve Wide (it’s called Tokyo Precincts) AND the super gorgeous ‘Snail Mail’. I can tell you that Michelle is not only a sweet, gentle, thoughtful person – she’s whip-smart and full-to-the-brim with clever, creative hunches and delightful ideas. Her famous eye for detail has the perfect canvas in this wonderful homage to the handwritten (beautifully decorated) letter. It’s just a lovely, inspirational book and I think you should run and get it OR put it on your wish list right this minute! 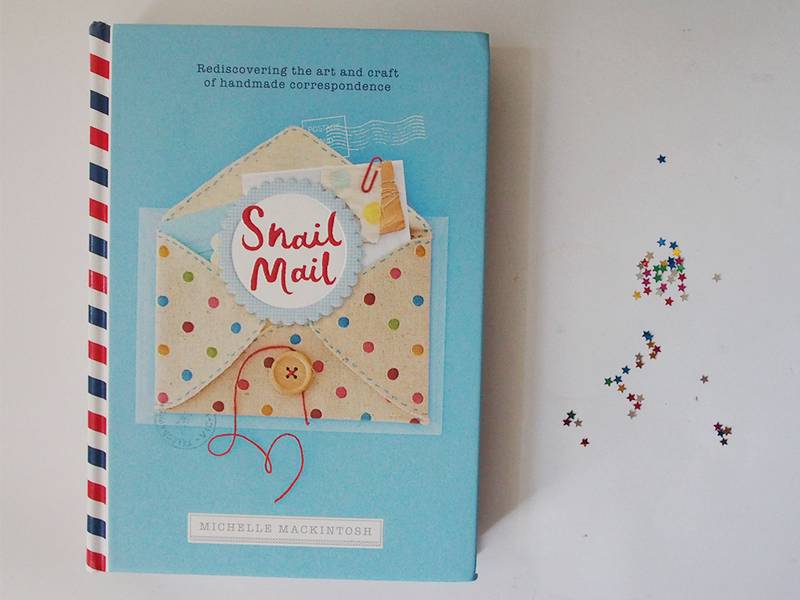 I am lucky enough to have three copies of ‘Snail Mail’ to give away this week. Just tell me what you most like about writing/receiving letters in the comments below. Entries close at midnight Melbourne time on the 11th April. Winners will be chosen by me and then contacted via email by Hardie Grant. Will post within Australia only. A huge thanks to Michelle and Hardie Grant for this special giveaway! 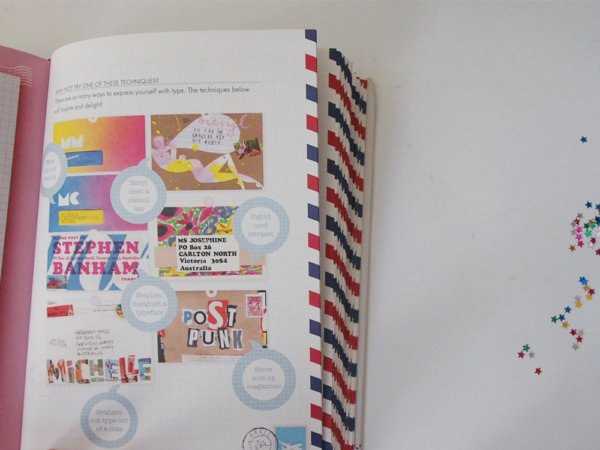 Snail Mail book is absolutely genius. When I was younger Perry Como sang We get Letters.. Loved the song. Letters wrote to my now husband and from him when I went to Denver Colorado..Loved them true love was blossoming Looked forward to his letter and my mom’s …her handwriting is beautiful..It helped with homesickness when I was away from home for 3 months. Oh, how life has changed now. Even as I type this note on computer sent my e-mail. Letters are to be cherished forever. 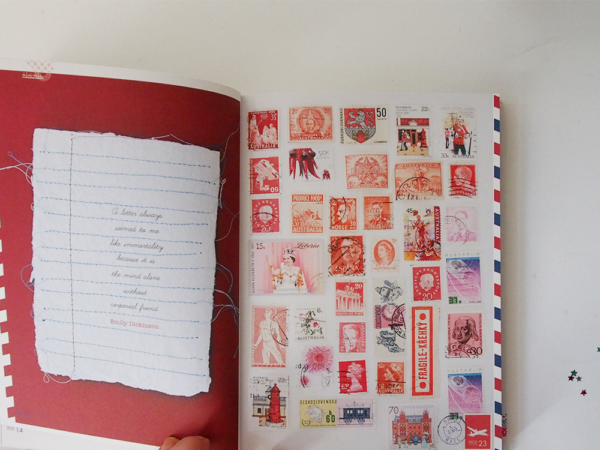 Thank You, Michelle Mackintosh for your talent in your creativity putting together the Snail Mail book. This will be a treasure for so many. The love of letter writing with a stamp on an envelope sent thru snail mail. Patiently waiting to be in the hands of a loved one, friend, child, relative.A note for someone to read the words from another in their mail box. When I was young I remember my Mum receiving air letters from my Aunty in America.You had to be really careful opening the letter to avoid chopping off the bottom third of the letter.It was so exciting waiting for the postie to bring a letter especially all the way from America.Gone are the days when we get excited by hearing the posties squeaky brakes, now its dread in case he has another bill. I read a feature today in the weekend newspaper about Snail Mail. What a fabulous and creative idea. I immediately went the internet to read more about Michelle Mackintosh and was most inspired. Memories flooded back to my own childhood when I was at boarding school in England in the early 1960’s. Every Sunday afternoon I would spend an hour quietly writing my newsy letter to my parents who lived in Malaysia at the time. It was the only way of corresponding in those days. At school we couldn’t wait each week for the post to be handed out to us and we would be most disappointed if our name was not called out. Today, whilst I embrace technology and social media, I also love sending a small package to my mother or friends who live interstate – to show them that I am thinking about them in real time and not just fleetingly on social media. It is always a delight to find a personal letter or package in your letter box! The thing that I love about giving mail is that for 99% of people, it is so unexpected to receive. I also have a weakness for stationery: so decorating letters and making them look pretty makes me happy. Even if it’s a little postcard, or a letter, or a thank you note, it lets people know that you are thinking of them. People always appreciate receiving snail mail, and are genuinely excited to see something in the mail box that isn’t bills! In terms of receiving mail, I too appreciate the care that people put into snail mail, and seeing what they choose to write their letters on. It always gives me a warm, fuzzy feeling! My husband and I wrote letters to our friends and family to invite them to our wedding; we personalised each one with the details they needed about the day. I hope that our guests enjoyed recieving them as much as we enjoyed writing them. Few took the time to reply to the letter though. I love receiving a “real” handwritten letters amongst the plethora of ugly bills. A letter signifies time that someone has been taken to put pen to paper and write something meaningful. All snail mail letters are to be cherished and put away in a little box to be saved. I still love my daughter’s letters that she sent me a toddler that were posted in our letterbox when I wasn’t watching. When I sit to write a letter, more than just a story or recall of events comes out, I spill out too. It’s only when I sit with paper and ink. Somehow, when we write email, or text messages (or even comments) a little bit of the soul gets lots between the fingers typing, and the binary transformed into pixel-made letters on a screen. I believe ink and paper are a medium for the real ooomph of a person to be carried with the words that are written on the page and sent over miles (sometimes a few, sometimes a few thousand). That’s why I love snail mail. I love the people that the letters carry with them. I met a friend-for-life through Instagram a couple of years ago. Even though there is a twenty year age gap between us, we somehow clicked from the first moment we met. She lives in Utrecht, The Netherlands and I live in Sydney, Australia. We communicate primarily through snail mail. We love connecting in this way. We use gorgeous paper to write on and we choose equally eye-catching envelopes in which we place our letters. The Dutch and Australian stamps add the final embellishment. On arrival across the seas, they are received with much love and warmth and happiness. They are treasured. Snails leave magical silvery trails in the moonlight. Mail leaves magical silvery trails in the daylight. Trails of words and art and inspiration on paper, to our mailbox. ??????? Well I think why I like RECEIVING letters is obvious, but why I like WRITING them is because it’s soooo much more personal and heartfelt than a FB message or an email. It’s literally stamped with the date and time – it’s such a specific point of a specific time in your life. That’s quite special, in this day and age! Both received and written – I love it all without fail! I really love that when you write a letter, you can take the time to find the right words. I think in conversations you can get caught up in meaningless ‘everyday talk’… but in letters you can really work over the words and make sure that they’re loving enough or joyous enough or angry enough to suit the message that your sending. That way, when the person receives the letter- they’ll feel what you’re trying to say. There’s really nothing like the emotions that you feel when you open a letter from a family member or a friend. I love writing letter because it’s the perfect excuse to dig into my stationery stash of nice papers, stickers and fancy pens! And I love receiving letters because it’s such a tactile experience for me – to feel the paper on which the letter is written and run my fingers through the actual handwriting and appreciating the fact that someone has taken the time out to write me a handwritten note! I love having that hand written letter to look back on, over and over again. I still have the first letter written to me by my half brother when they first found out about me when I was 21. It is a special letter and having it hand written just makes it more special. I love knowing I’m touching something a loved one has touched and sent to me. The thing I love about writing and receiving letters is the time, care, and thought that often goes into them, especially today. If you want to do something extra special for someone, you sit down and write them a letter. It doesn’t have to be pages long (but it can be!) 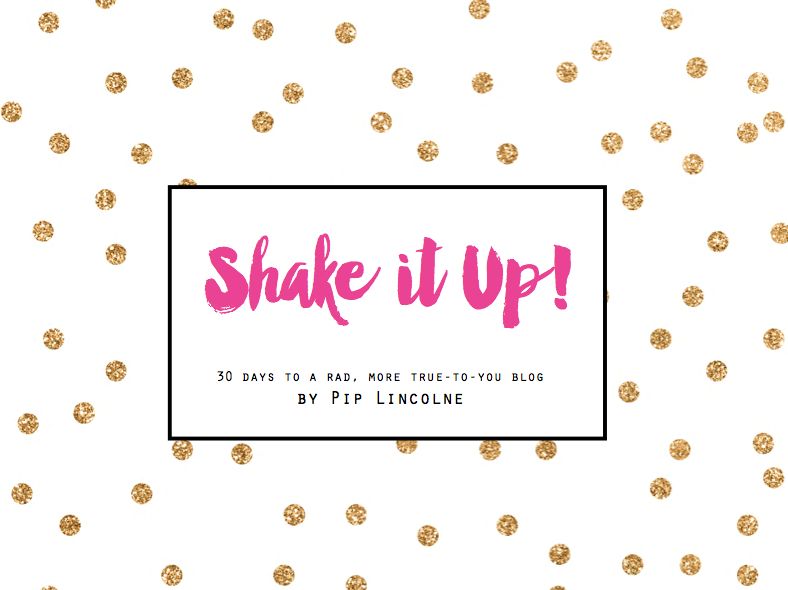 – it might only just be a paragraph or so filled with words of encouragement, loveliness, or just general updates. Whatever it is, there’s nothing quite like walking to the letter box to find something special addressed just to you, sitting down with a nice cup of tea, and opening your little bundle of words. Oh, and stamps. Because stamps. I love writing snail mail as I’ve been able to connect with so many different people from places and countries I’ve never visited and people I would never had gotten to know if it weren’t for some good ol snail mail. having left my country of origin more than once and lived most of my adult life away (but in many different places) snail mail is a huge part of reconnecting for me. I feel so much more real and present I these distant relationships with family and friends when I create and send and especially when a lovely letter arrives back! Like many busy modern people I had gotten away from using snail mail to connect and have loved the 52 hellos project. I have re-discovered the joy of post and the written word! 16 down, and no intention of stopping! Receiving letters in high school, when my very first boyfriend lived seven hours away, introduced me to that most delicious experience of “anticipation”. How I ached with delight everytime I saw his handwriting scrawled across a homemade envelope made out of The Phantom comic strips. It was the ultimate slow romance! Letters have always evoked this feeling of sensory anticipation since. Now as an adult I will find a handwritten envelope and hold off opening its contents as long as possible imagining what is contained inside. Sadly nothing as fervently delirious as those first love letters arrive these days…. I love snail mail for the smile it brings to my face and the happiness it brings. Snail mail arrives as a surprise and brings joy. How could it not be loved. I love snailmail for more than 30 years now. Sharing your thoughts and feelings to friends all over the world! I also love meeting my penpals and made.through my letters some friends for life! Oh wow! There is so much I love about writing and receing snail mail! From the age of 10, I had so many pen pals, the favourite part of my day was coming home from school and my mum telling me I had some letters. I can still feel that excitement bubbling in my chest, wondering what my pen pals had to tell me. I loved everything about them, the way everyone’s handwriting was different, the different papers and pens used, but my utmost favourite part was what was written in the letters! It was like having a really long conversation, back and forth with someone and was such a warm feeling. I think we reveal more in letters than when we do have a face to face conversation. There’s just something magical and comforting about it all. We all shared so much, from music, hobbies, family, school, crushes, teenage dramas and angst… It was wonderful! I kept this all up throughout my teens, most pen pals dropped off in the late teens, but there is one I am still in contact with and we are now both 30 with families of our own. I have been thinking a lot lately about how much I miss having regular pen pals and I really want to find some more. I couldn’t have 30 (like I did at the height of my letter-writing days when I was in my mid teens!) but 2 or 3 would be just perfect! It was such a huge part of my life growing up, I don’t want to let it go! 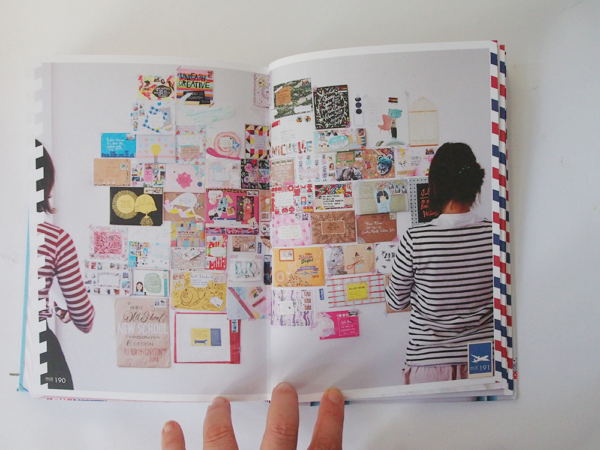 What do I love about snail mail? Why, the little afterthoughts and “ps” notes. The careful thought put into every aspect of the letter. When mum calls out “there’s a letter for you!”. The presents you can put into a seventy-cent envelope. 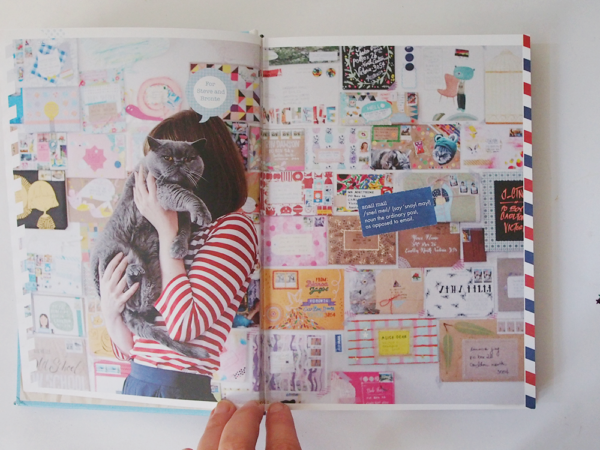 The lovely tapes and stickers you buy to decorate everything! I love EVERYTHING about snail mail!! Ooooh I was coveting this gorgeous book in my local bookshop yesterday! Snail mail is wonderful to receive as it’s just like a big warm HUG in an envelope! Someone lovely has taken the time to make you feel special, and it truly does! I too like to send some love in the post! That book is just so fab! …Oh the letters I would write with inspiration like that…. the texture of the paper the love of colour, the bliss of reading the written word hand-written. Just sublime. Honestly, I love when I go to the post office to collect my mail & the post office clerk exclaims “You got the prettiest mail today”! I love how snail mail not only cheers me up but the post office too! I’m actually putting in a vote for the lovely Deb Baker for this one, because much as I would like a copy of this gorgeous book, if it weren’t for Deb I wouldn’t be in the wonderful snail mail group Sew Crafty Snail Mail. Since joining up I have had so much fun decorating mail, writing letters and getting to know my new pen pals! Oh and of course receiving happy making snail mail from lovely people. Good luck Deb and thanks for the opportunity Pip and the peek into such an inspiring looking book! I’m so glad you wrote that Emily! Yes, Deb has been an amazing inspiration for snail mail! Since I was a little kid I’ve loved receiving and sending mail…from my grandmothers beautiful cursive script letters, to my French and Canadian pen pals, my big brother who lived all the way away in Sydney (I grew up in Far Northern NSW), and my best friend who moved away to live on a yacht… the joy of finding a special item in the mail box JUST for me, that meant that someone took the time and attention to create something just for me. But now the joy is exponential when I see my 11 year old daughter, and now my 3 year old daughter, light up with anticipation when they hear the posties bike in the street…listening out to see if he stopped at our mail box, and then tearing down the driveway to check if there is anything for them. My mum sends them both letters and packages regularly with notes and stickers and shells and coins and other trinkets…such a beautiful, simple way for them to stay connected with their mama. And they both love sending mail to their friends (even the ones we see every week!) 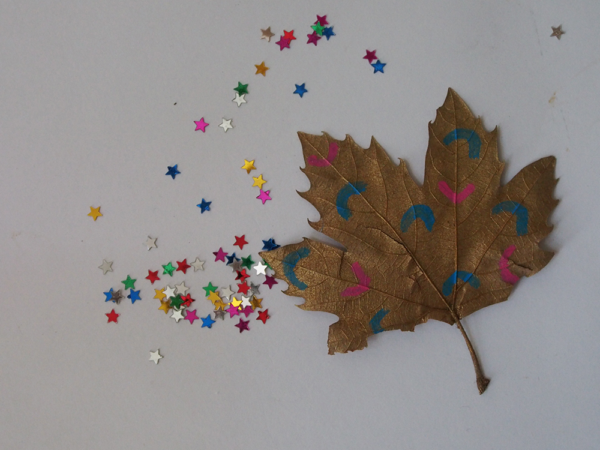 with decorated envelopes sprinkled with glitter for a magical sparkly ta-da moment when the letter is opened. 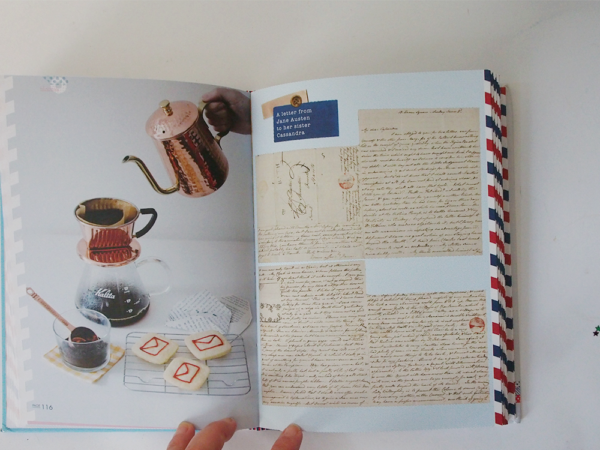 I’d love this book to share my girls…to inspire their burgeoning joy of creating handmade parcels of love . The best part about snail mail is the lovely moment when that pretty handwritten envelope appears amongst all the bills and bank statements…someone is thinking about you! Hearing the postman ride by and stop, opening the letterbox to find a handwritten envelope is one of life’s simplest pleasures which makes me smile from the heart. I love writing notes and letters to the kids and hopefully encouraging the handwriting to live on as sadly it seems to be disappearing. I miss having letters come in the mail. I really do. I love that moment when I open the mail box and discover something other than a bill or a flier. Every day when I check the mail there is that moment of anticipation right before the lid is lifted, and I think ‘this could be the day’. When a special letter or package does finally arrive, I take it into the house, but I don’t open it right away. I wait until my chores are done and the hour is quiet. Then I sit down, carefully open the letter, and enjoy reading what has been written. There is such a truth and intimacy shared when a letter is written. An essence of your soul that whispers secrets without editing or planning. You communicate from an AS IS place, where emotions are real and the world stops for your story to be made. Since becoming a Mum four years ago, I notice this form of self expression has diluted for me into more casual postcard offerings to friends, or mini scribblings on seasonal note cards of key words alive. How decadent a hand written letter would feel to write once more if that took priority over day to day life rhythms necessary. Oh the thrill of reconnecting to that part of who I am, and taking the time to be slow with life, and expansive in energies. Just Glorious. I love the excitement of seeing a letter in the mailbox and the anticipation of finding out what it contains; the feel of paper in my hands and the individuality of everyone’s writing from the shape of their letters to the words they use. Letters are like a window into the soul of the writer, whether they are romantic love letters, recipes with a note from your gran or a letter to yourself , the joy of writing and receiving letters is like no other. I remember introducing my girls to letter writing and the postal system when they were young by sending themselves a Christmas card with their Christmas wishes, it was much anticipated to see whose letter arrived first. My almost 17yo love of snail mail continues and she almost always sends herself a postcard when we go on holidays. That box of postcards is so special to her and something she will hold dear forever. I love the notion that “snail mail” is coming back into vogue and I love stationary too. For me mail is a touchstone. A reminder. A memento of who I was, and who I am. Nothing speaks to me quite like getting something in the mail. And similarly there is a unique piece of me in every letter I send out. A fragment, a moment captured, something that has never been said and will never be said again, not in quite the same way anyway. I love the excitement that comes with finding a letter in the mailbox. I rarely get them, so when I do, it’s the most amazing feeling! One of my New Years resolutions was to write a letter to someone different every month. It’s been really nice to try and decorate each one differently and prettily. Loving the challenge! You cannot touch, smell or find in an old box after keeping it for 25 an email, like you can a snail mail letter. I adore letters for these and many other reasons. I found letters my best friend sent me after she moved away when we were teenagers. I took them with me when I went to visit her 25 or so years latter and we nearly peed ourselves laughing at some of the stuff in them, unfortunately she had not kept my replies. Michelle’s book looks fabulous. One of my New Year resolutions was to send a letter/card/mini artwork etc by snail mail to my daughter every month this year to surprise her at random times when they arrive. Every time I receive a letter from my mum it feels like receiving some part of her. I feel as though she has poured herself onto a piece of paper…revealing, exposing, giving herself away totally. It often makes my heart ache reading her words so full of love and longing for her only daughter who chose to live on the other side of the world…so far away and yet feeling her so close suddenly. There is no other experience like it. Until I pick up my pen and with its ink start pouring myself onto a piece of paper. The thing I most like about receiving letters, is that you can read them over and over, at anytime you like, and it feels like the person who wrote the letter is right there chatting to you in person. I just love the moment I check the mail box and see something inside, anything.. It reminds me of checking the mail when I was a little kid. I had some pen friends from overseas and some overseas cousins that I use to write to constantly, to find out how my grandpa was. My love of snail mail began over 30 years ago with a book about hand lettering and a penpal from Girl Guides in the USA. Hello bubble writing, exotic stamps, scratch and sniff stickers (pepper & gherkin flavoured of course), the joy of holding something created just for me, handmade envelopes from old magazines, twirling words, coffee spills, wafts of scent and genuine heart outpourings. 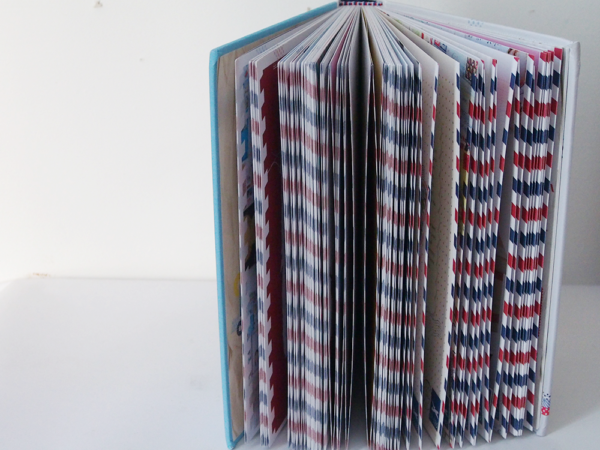 What a fabulous idea for a book! Can’t wait to check it out. Oh my goodness. I just love Michelle and her work and everything she does. I’ve been following the progress of her book and waiting for it to finally be published and YAY here it is! And.. I can see one of my envelopes and letters within the pages of the book. I am so flippin excited. I am the biggest fan of snail mail. I started my own mini snail mail group on my blog and it has been one of the best things I’ve ever done – EVER. Corresponding with lovely, like minded folk has not only inspired me to write more letters but also my children. I love to see them getting out their stationery and write letters and send little bits and pieces off to their friends. So really I think the greatest thing I’ve ever done was to create a love for snail mail in my own kids and to keep this wonderful tradition going. I actually love it the most when someone takes the time to write a letter to my 6 year old daughter! We love to check the letterbox together, to see if we have received any letters, and she is mostly disappointed by the stacks of “letters” that I get (er, they are mostly bills). When there is a letter in there for her, the genuine delight is a treasure for me. I have even pretended to be someone else (Giggle and Hoot), and written her letters to her so that she could get that wonderment feeling! Seeing that through the eyes of a 6 year old reminds me of what I had quite often when I was a kid, and what I kind of miss as an adult. This book looks beautiful! The thing I love most about writing letters is that it forces me to slow down. It really feels like I have spent ‘quality time’ with that person, and had a proper conversation. There is something magical about snail mail… I suppose it reminds me a little of Harry Potter. I love the excitement of finding letters in the mailbox, with my name handwritten on the front. Each letter is unique and personal-someone special has taken the time to write it just for me! I love thinking about the journey the letter has made- from one side of the earth to the other. Best of all, I love writing letters to others and enclosing treasures within, knowing that they will experience joy and excitement too! It is such an wonderful process, writing and receiving snail mail. ???? What’s not to love about opening the letterbox to see something pretty? It can brighten a dull day, restore hope, and is like receiving a hug from someone far away. I write letters by hand to my children who are currently babies. I don’t plan for them to be sent until I am gone. I hope they will provide comfort, wisdom (a little) and laughter. They are my truths, hopes and dreams.There is something so special about the written word, I know I would love to have something written by my Dad who died when I was little! oh this book looks fab! I absolutely adore snail mail! My fav thing about snail mail is receiving a little bit of love from all corners of the world.. Like sunbeams shining from my mail box ??? ?